"Nonviolent resistance (or nonviolent action) is the practice of achieving goals through symbolic protests, civil disobedience, economic or political noncooperation, satyagraha, and other methods, without using violence. It is largely but wrongly taken as synonymous with civil resistance. Each of these terms ("nonviolent resistance" and "civil resistance") has its distinct merits and also quite different connotations and commitments, which are briefly explored in the entry on civil resistance. For instance you can operate non-violence on quite all peaceful fronts of refusals, but on some occasions without denying concurrently the government in activity. The modern form of non-violent resistance was popularised and proven to be effective by the Indian leader Mohandas Gandhi in his efforts to gain independence from the British. From 1966 to 1999 nonviolent civic resistance has played a critical role in 50 of 67 transitions from authoritarianism. Recently, nonviolent resistance has led to the Rose Revolution in Georgia and the Orange Revolution in Ukraine. Current nonviolent resistance includes the Jeans Revolution in Belarus, the"Jasmine" Revolution in Tunisia, and the fight of the Cuban dissidents. Many movements which promote philosophies of nonviolence or pacifism have pragmatically adopted the methods of nonviolent action as an effective way to achieve social or political goals. They employ nonviolent resistance tactics such as: information warfare, picketing, vigils, leafletting, samizdat, magnitizdat, satyagraha, protest art, protest music and poetry, community education and consciousness raising, lobbying, tax resistance, civil disobedience, boycotts or sanctions, legal/diplomatic wrestling, sabotage, underground railroads, principled refusal of awards/honours, and general strikes. Nonviolent action differs from pacifism by potentially being proactive and interventionist. Major nonviolent resistance advocates include Leo Tolstoy, Martin Luther King, Jr, James Bevel, Václav Havel, Andrei Sakharov, and Lech Wałęsa. There are hundreds of books and papers on the subject — see Further reading below. "A boycott is an act of voluntarily abstaining from using, buying, or dealing with a person, organization, or country as an expression of protest, usually for social or political reasons. Sometimes, it can be a form of consumer activism. 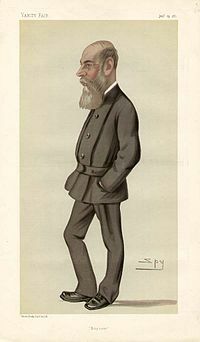 The word boycott entered the English language during the Irish "Land War" and is derived from the name of Captain Charles Boycott, the land agent of an absentee landlord, Lord Erne, who lived in Lough Mask House, near Ballinrobe in County Mayo, Ireland, who was subject to social ostracism organized by the Irish Land League in 1880. As harvests had been poor that year, Lord Erne offered his tenants a ten percent reduction in their rents. In September of that year, protesting tenants demanded a twenty five percent reduction, which Lord Erne refused. Boycott then attempted to evict eleven tenants from the land. Charles Stewart Parnell, in a speech in Ennis prior to the events in Lough Mask, proposed that when dealing with tenants who take farms where another tenant was evicted, rather than resorting to violence, everyone in the locality should shun them. While Parnell's speech did not refer to land agents or landlords, the tactic was first applied to Boycott when the alarm was raised about the evictions. Despite the short-term economic hardship to those undertaking this action, Boycott soon found himself isolated — his workers stopped work in the fields and stables, as well as in his house. Local businessmen stopped trading with him, and the local postman refused to deliver mail. The concerted action taken against him meant that Boycott was unable to hire anyone to harvest the crops in his charge. Eventually 50 Orangemen fromCavan and Monaghan volunteered to do the work. They were escorted to and from Claremorris by one thousand policemen and soldiers, despite the fact that the local Land League leaders had said that there would be no violence from them, and in fact no violence materialized. This protection ended up costing far more than the harvest was worth. After the harvest, the "boycott" was successfully continued. Within weeks Boycott's name was everywhere. It was used by The Times in November 1880 as a term for organized isolation. According to an account in the book “The Fall of Feudalism in Ireland” byMichael Davitt, the term was promoted by Fr. John O'Malley of County Mayo to "signify ostracism applied to a landlord or agent like Boycott". The Timesfirst reported on November 20, 1880: “The people of New Pallas have resolved to 'boycott' them and refused to supply them with food or drink.” The Daily News wrote on December 13, 1880: “Already the stoutest-hearted are yielding on every side to the dread of being 'Boycotted'.” By January of the following year, the word was being used figuratively: "Dame Nature arose.... She 'Boycotted' London from Kew to Mile End" (The Spectator, January 22, 1881). Girlcott is a neologism that combines "girl" and "boycott" to focus on strictly female boycotts. The term was coined in 1968 by American track star Lacey O'Neal during the 1968 Summer Olympics in Mexico City, in the context of protests by male African American athletes. Speaking for blackwomen athletes, she advised that the group would not "girlcott" the Olympic Games, because female athletes were still focused on being recognized. It also appeared in Time magazine in 1970, and was later used by retired tennis player Billie Jean King in reference to Wimbledon, to emphasize her argument regarding equal play for women players. The term girlcott was revived in 2005 by a group of young women in Allegheny County, Pennsylvania protesting what they deemed sexist and degrading T-shirt slogans on Abercrombie & Fitchmerchandise. Boycotts are now much easier to successfully initiate due to the Internet. Examples include the gay and lesbian boycott of advertisers of the "Dr. Laura"talk show, gun owners' similar boycott of advertisers of Rosie O'Donnell's talk show and (later) magazine, and gun owners' boycott of Smith & Wessonfollowing that company's March 2000 settlement with the Clinton administration. They may be initiated very easily using either Web sites (the Dr. Laura boycott), newsgroups (the Rosie O'Donnell boycotts), or even mailing lists. Internet-initiated boycotts "snowball" very quickly compared to other forms of organization. Another form of consumer boycotting is substitution for an equivalent product; for example, Mecca Cola and Qibla Cola have been marketed as substitutes for Coca-Cola among Muslimpopulations. Academic boycotts have been organized against countries. For example, the mid and late 20th century academic boycotts of South Africa in protest of apartheid practices and the more recentacademic boycotts of Israel. Some boycotts center on particular businesses, such as recent protests regarding Costco, Walmart, Ford Motor Company, or the diverse products ofPhilip Morris. Another form of boycott identifies a number of different companies involved in a particular issue, such as the Sudan Divestment campaign, the Boycott Bush campaign. 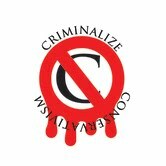 The Boycott Bush website was set up by Ethical Consumer after U.S. President George W. Bush failed to ratify theKyoto Protocol – the website identifies Bush's corporate funders and the brands and products they produce. Today a prime target of boycotts isconsumerism itself, e.g. "International Buy Nothing Day" celebrated globally on the Friday after Thanksgiving Day in the United States. As a response to consumer boycotts of large-scale and multinational businesses, some companies have begun marketing brands which, though formally owned by the parent corporation, do not bear the company's name on the packaging or in advertising. Activists such as Ethical Consumerproduce information on which companies own which brands and products to enable consumers to practice boycotts or moral purchasing more effectively. Next: How To Organize Boycotts. An "ad slump" caused by a massive boycott effort. The next article on How To Organize Boycotts is our last on political activism outside of the electoral arena for the time being; protests, demonstrations, and boycotts are actions that may be necessary to spread the word on criminalizing Conservatism when the institutional institutions prove unworkable - or unwilling. there ain't nothin' can beat teamwork."